Now we know who FC Barcelona B will face in the promotion play off for a place in Second Division A. The team that stands between the blaugranes and a place in the second tier of Spanish Football next season is Cultural Leonesa. The draw for the play offs took place on Monday at the Spanish Football Federation’s headquarters in Las Rozas and Barça B will face their opponents at home in the Miniestadi on 20/21 May with the return leg to come on 27/28 May in the Estadio Municipal de León. 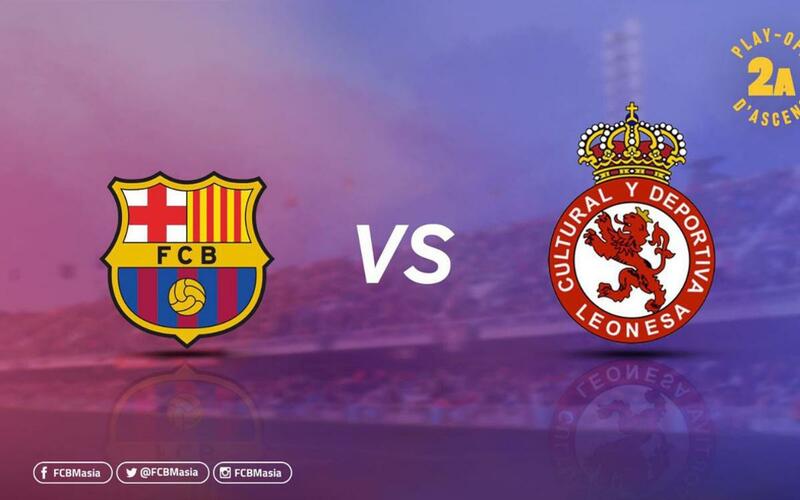 If Barça B can overcome Cultural Leonesa over two legs, they will be guaranteed a place in the Second Division A, together with the winner of the other Champions’ play off, Albacete and La Hoya Lorca. If Gerard López’s team should lose their initial play off tie, all is not lost as they would then pass into the second round of non-Champions play offs and would still have a chance of winning promotion to the next tier of Spanish Football.